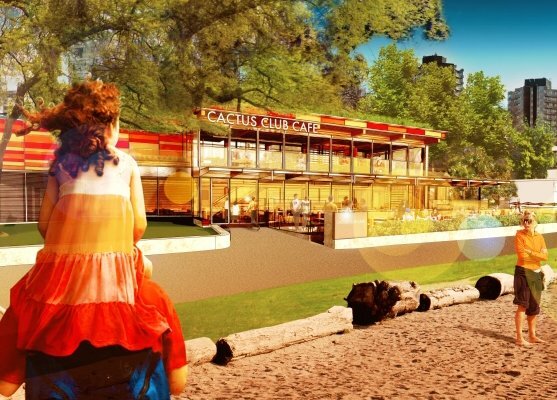 The long awaited opening of our English Bay location is fast approaching. The design and construction of this restaurant has to be considered very carefully as we are targeting a LEED GOLD Certification for it. Sustainability has always been a priority of ours, we were a founding member of the Green Table Network and our menu is Ocean Wise approved. A LEED GOLD certified restaurant, one of the first in Canada, would be a huge win for us and the environment. ◦ Landscaping will feature water-efficient practices, such as rainwater irrigation. ◦ Through our Green Table membership, the restaurant team is committed to composting, green innovation and reducing energy consumption.